(by Mike Hayes, BuzzFeed) – Federal investigators believe the latest wave of bomb threats against Jewish centers and schools around the country was a coordinated attack perpetrated using “spoofing” technology, according to a liaison to the Jewish community who spoke with FBI investigators. On Monday, bomb threats were called into 30 Jewish schools and community centers in at least 18 states, adding to a growing list of anti-Semitic incidents across the US this year. So far, nobody has been injured. [The news comes as the FBI and law enforcement across the country continue to look into the spike in threats against the Jewish community. More than 100 threats in 33 states have been reported since January, and has resulted in students being pulled from schools. Jewish cemeteries have also been subject to vandalism.]. 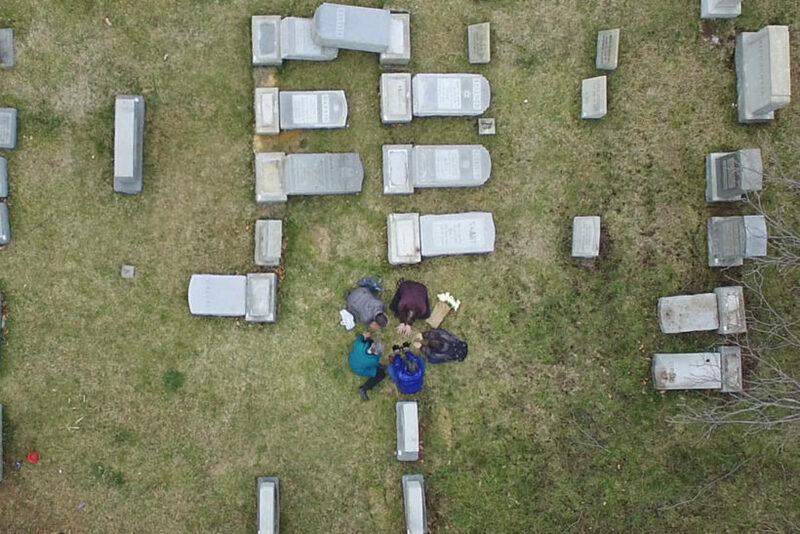 People gather in prayer amid the toppled headstones and damage at Mount Carmel Cemetery in Philadelphia on February 27, 2017. CBS News first reported Monday that law enforcement officials believe the attacks were a coordinated effort. However, a law enforcement official told the New York Times on Tuesday that [there could also be a possiblity that] a single person may be responsible for the threats. [The U.S. Department of Homeland Security announced that it will heighten assistance to Jewish Community Centers. Reprinted here for educational purposes only. May not be reproduced on other websites without permission from BuzzFeed.